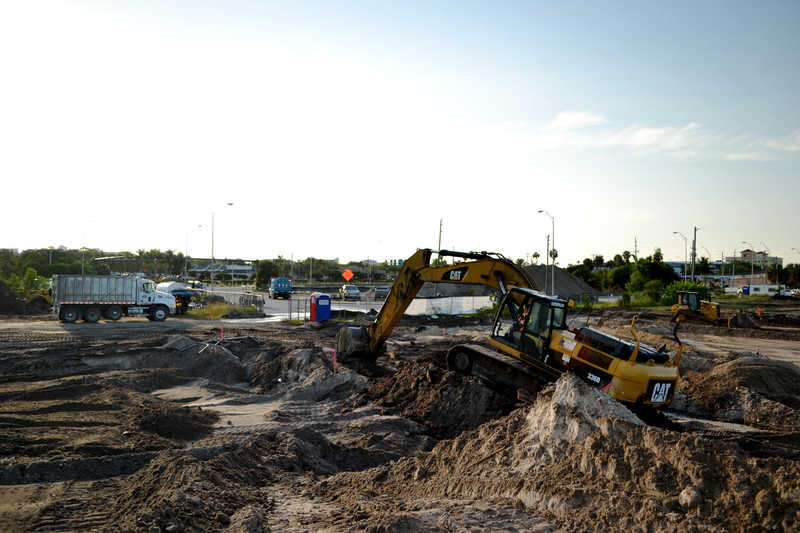 Another update at the Harbourside Place, EB-5 funded, construction project. Crews continue to work to demuck the property and prepare the sub-grade of the property for the future structures that will be built. Check out the photos and video of the progress below. 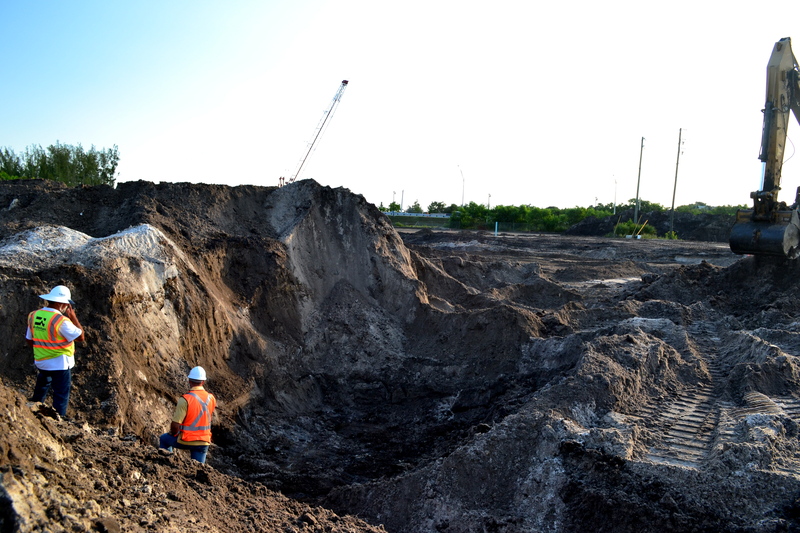 Crews use excavators to remove the bottom layer of soil to replace with solid backfill. 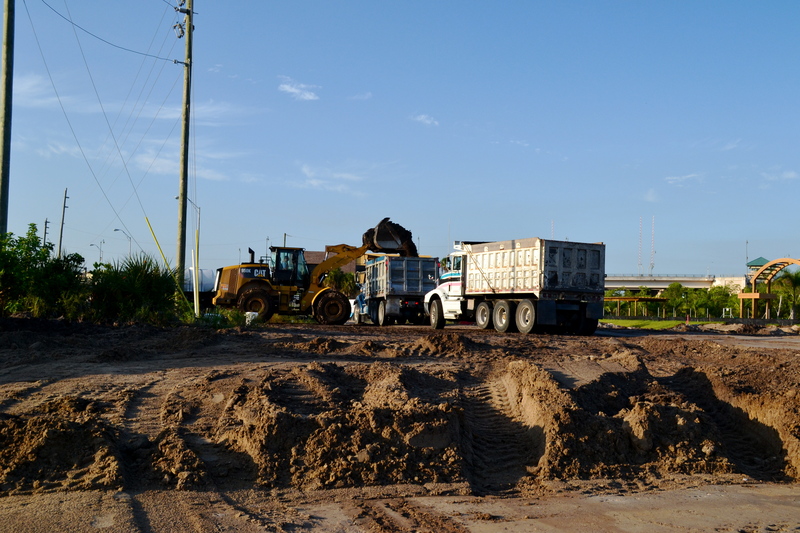 Trucks line up at Harbourside Place to be filled with the sandy backfill that is being taken off property. 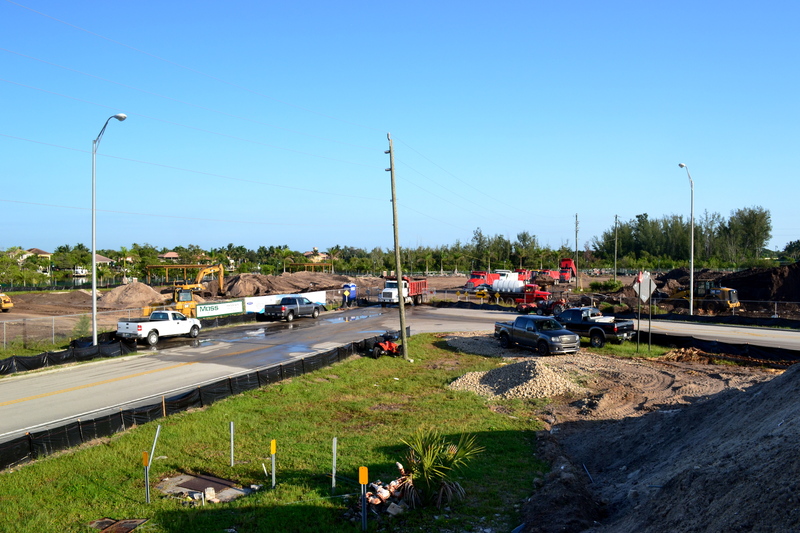 More progress continues to be made at Harbourside Place.